These illuminating cards serve as seeds of empowerment to raise your personal power and awareness. 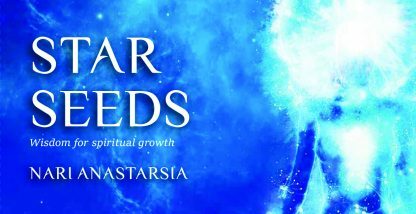 Each message will encourage you to ponder your birth from the stars, raise your unique vibration through Earth's planetary shifts, and make conscious choices of self-love so that you may be of better service to humanity. Let these visionary cards inspire you to move forward with courage, strength, and determination on your journey toward the light.